A juicer separates the fiber from the rest of your fruit or vegetables leaves only the juice for you to drink allowing you to get all the vitamins and nutrients in the most easily digestible form. 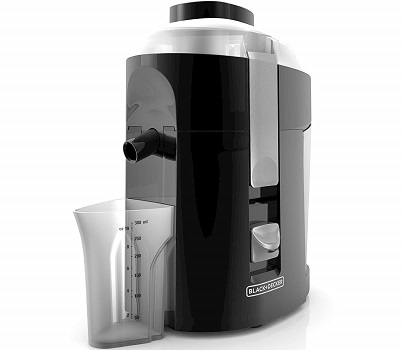 • Centrifugal Juicers - cheaper, quicker to juice, often require less chopping of fruit and veg before juicing, usually less bulky, and slightly easier to clean. However, they are less suitable for juicing greens, wheat-grass and soft fruits such as berries and the heat of the spinning blades destroys some of the nutrients in the juice. 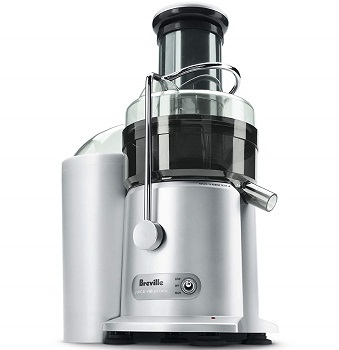 • Masticating Juicers - quieter to operate, suitable for juicing leafy greens, wheat-grass and soft fruits. Can be used for other food preparation tasks. They are extremely efficient at extracting juice and retaining the all-important nutrients. • Jug with foam separator - allows you to pour juice, but holds back any foam. • Drip-stop spout - stops any remaining juice inside the machine from dripping out onto your worktop after you've finished juicing. • XL feed chute - with it you don’t need to mess about pre-chopping fruit and veg. 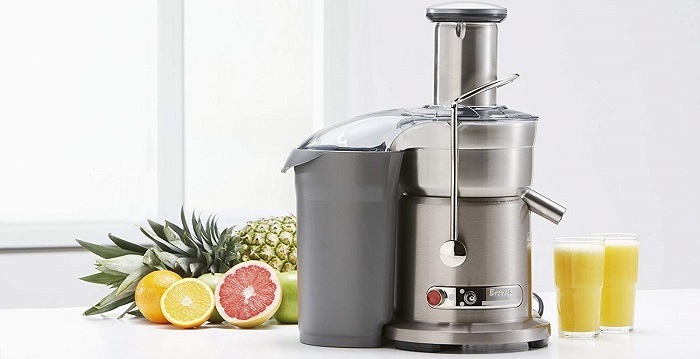 • Pusher - push small fruit and vegetables into the juicer without risking your fingers. 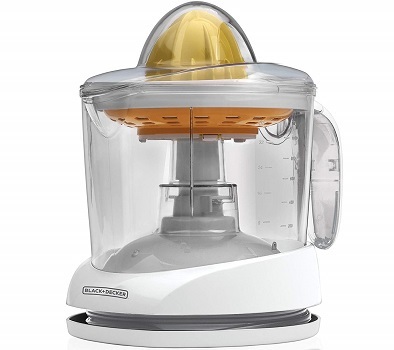 • Safety lock lid - the juicer won't work unless the lid is clicked into place securely. There are strong reasons why large and trusted online retailer like Amazon.com displaying their customer reviews including the star rating. It will give you a real picture of a product that you plan to buy. The more the number of buyer reviews and the higher the star rating, the better the product in the eyes of users. For your information, people who can submit a product review on Amazon.com must make the purchase first. So rest assured, you will get an honest review from them. 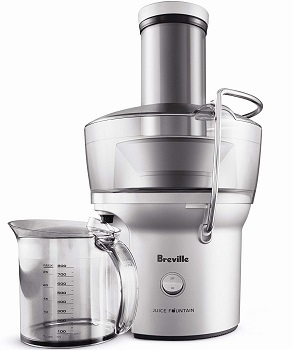 Breville Juice Fountain BJE200XL comes with titanium reinforced disc and Italian-made micro mesh filter basket to deliver optimum juice and nutrient extraction. • Easy to use & clean. • Handy cord wrap in the base of the unit. 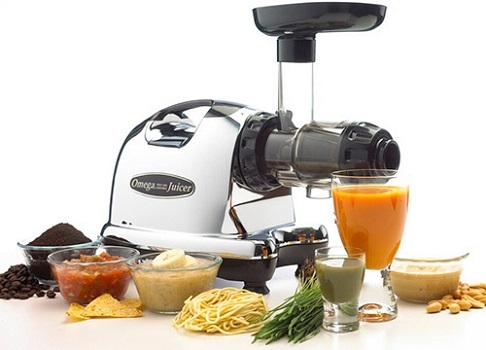 • Very quiet in comparison to other centrifugal juicers. • Juice spout fits nicely into the opening of the pitcher lid (doesn't splash all over the counter). • Only suitable for juicing firmer fruits and veggies. • Only one speed - you can`t slow the shredder basket down for tough or leafy greens. 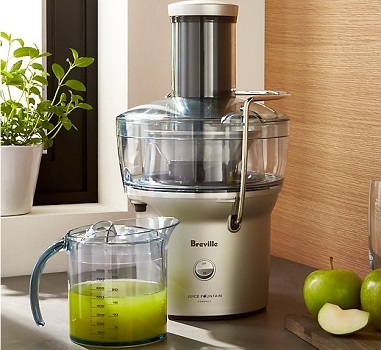 Breville Juice Fountain Plus JE98XL juices whole large apples, pears and oranges in seconds. Smooth, rounded parts without food traps prevent pulp from sticking and make rinsing under the tap fast and simple. • Nice wide shute, which cuts prep time. • Doesn`t extract leafy greens well. • Tends to vibrate a lot while running. • The juice cover and food pusher are not dishwasher safe. 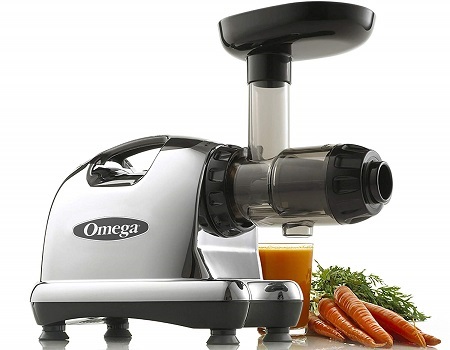 Omega Nutrition Center J8006 processes at 80rpm, whereas most other juicers process at a speed of 1,650 to 15,000rpm. The low speed protects and maintains healthy enzymes, prevents oxidation and allows juice to be stored up to 72 hours without degradation. • The low speed enables the retention of its natural and pure taste and color. • The feed tube does not empty completely. • A clogged screen has been a bad experience for some. BLACK+DECKER JE2200B comes with 400-Watt motor to tackle even the toughest produce with confidence. The motor is controlled by an easy on/off switch. 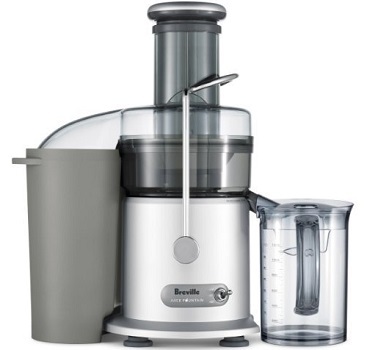 The juicer features a dual safety lock mechanism for additional safety and peace of mind. • You have to cut up your fruit and vegetables before using them in the juicer. 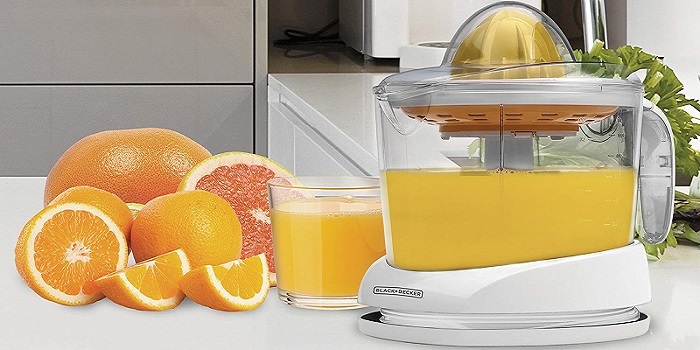 BLACK+DECKER CJ625 two self-reversing cones that squeeze every drop of juice from your favorite citrus! • Built-in cord storage keeps the cord neat and out of the way. • Adjustable pulp control lets you get the amount of pulp you want. • Auto reverse can be problematic.